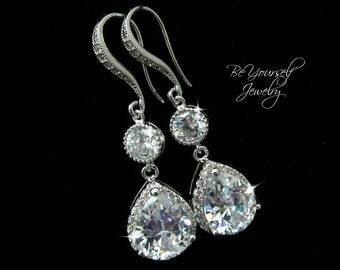 Elegant and timeless Cubic Zirconia teardrop earrings that are perfect for weddings and special occasions! 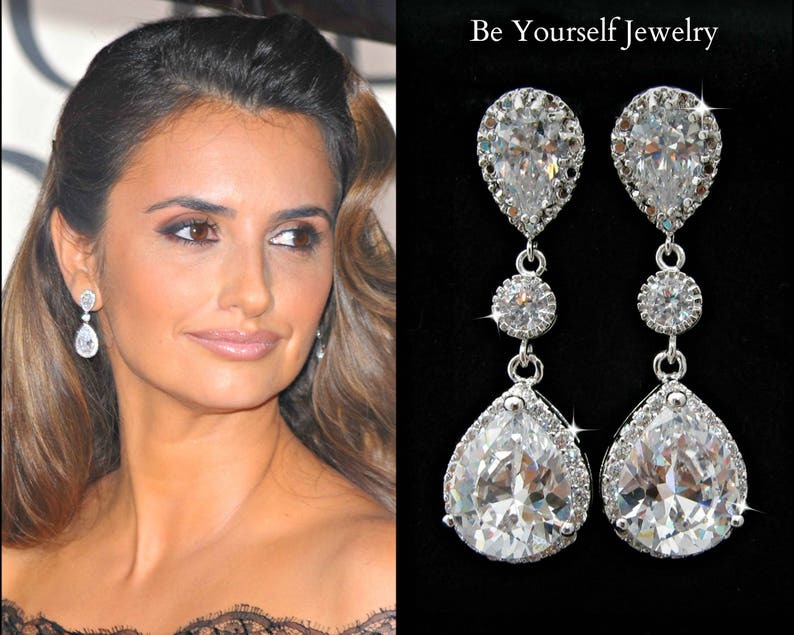 The diamond earrings worn by the gorgeous Penelope Cruz at the Golden Globes inspired us to create another Celebrity Inspired jewelry design. It's your time to shine and make your own Red Carpet moment for a fraction of the price. This is one of our best selling designs! Also available in yellow and rose gold. Contact us if you would like to order multiple items for your bridesmaids. We are very easy to be reached and usually reply to our messages right away. Special discounts are available for multiple orders. Don't forget to read our FAQ below for more information.